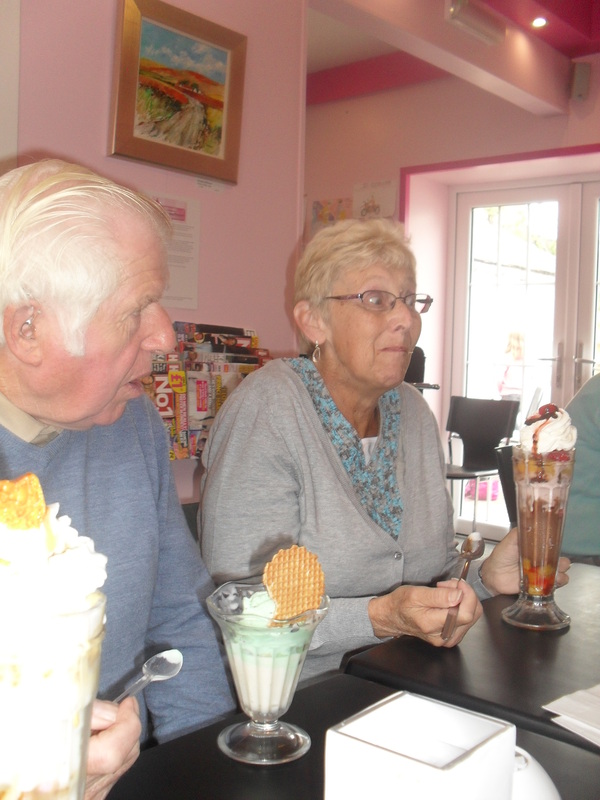 Yesterday my mum and stepdad arrived from England to stay with us for a few days. 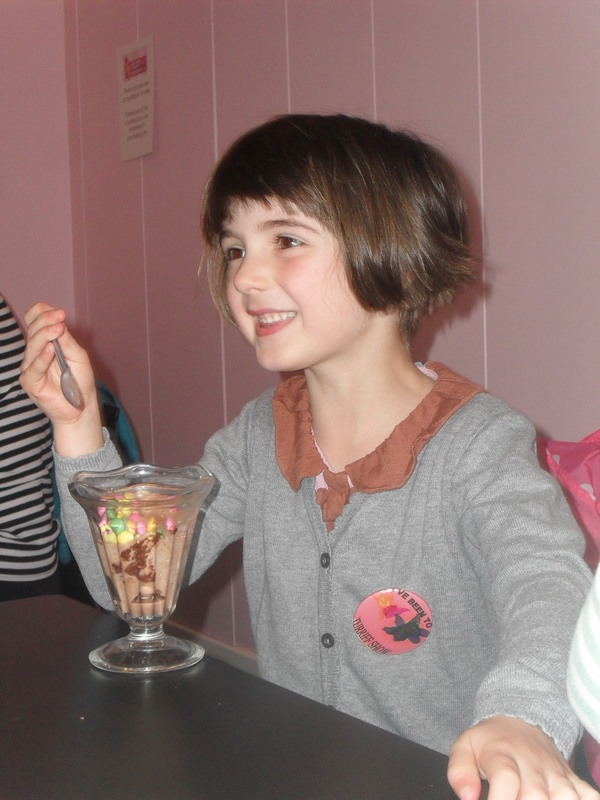 Of course the girls were over the top excited that Nanny and Grandad Jim were coming to stay because that meant a trip to the ice cream parlour. 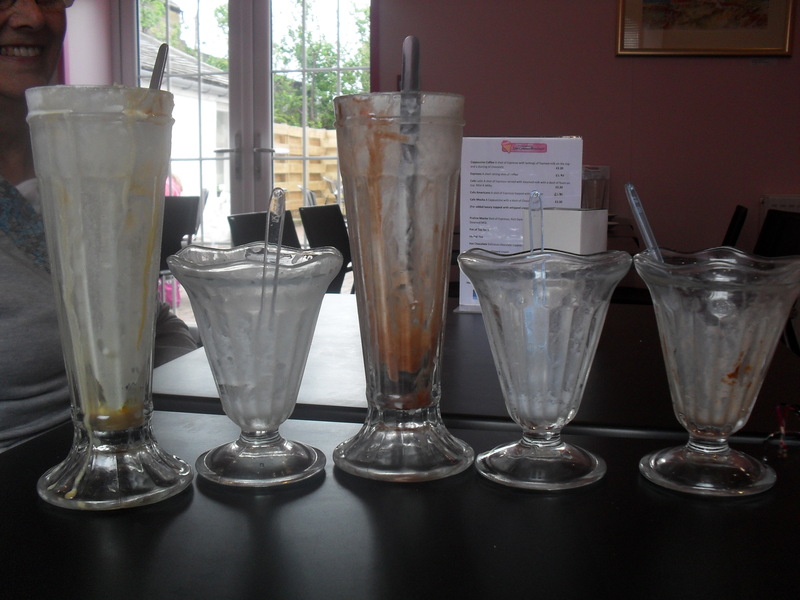 This morning Jim brought his wallet out of retirement and took ‘us girls’ out for a treat. 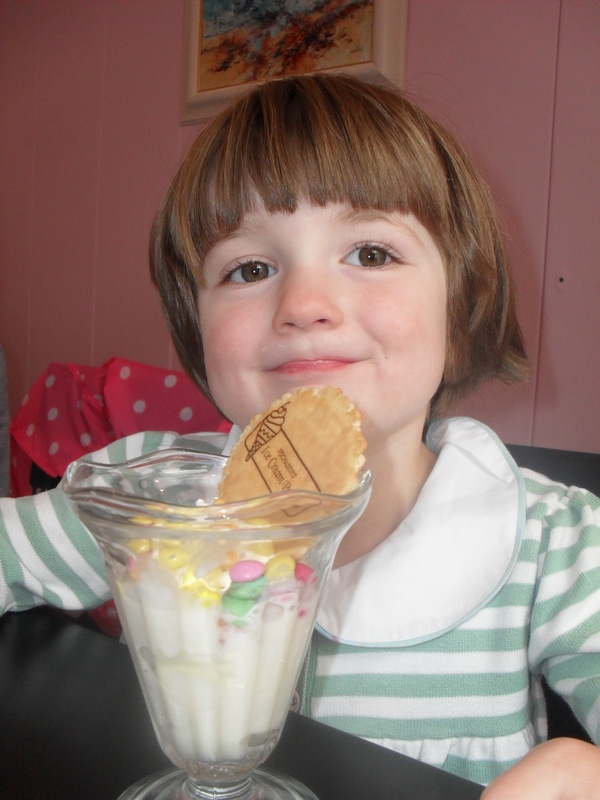 Bart chose strawberries and cream and AJ chose chocolate cookie . 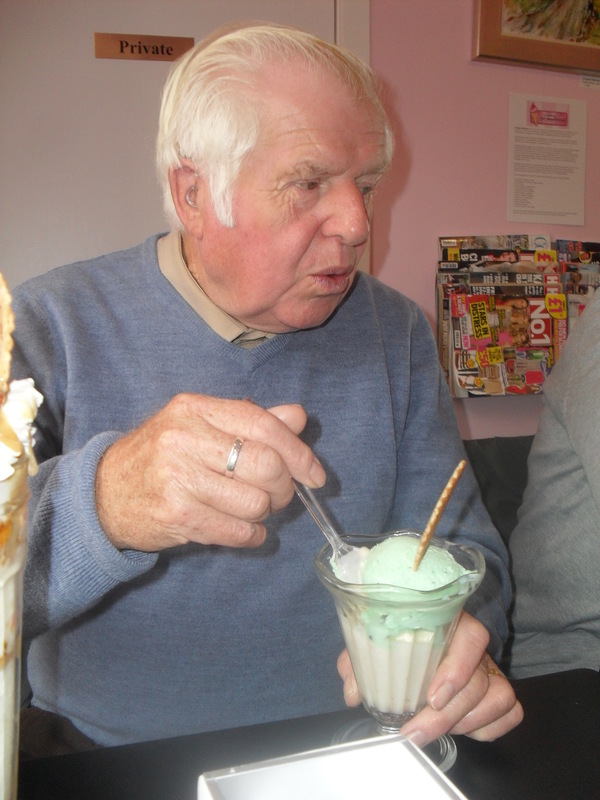 Grandad had a scoop of malteaser and another of mint choc chip. 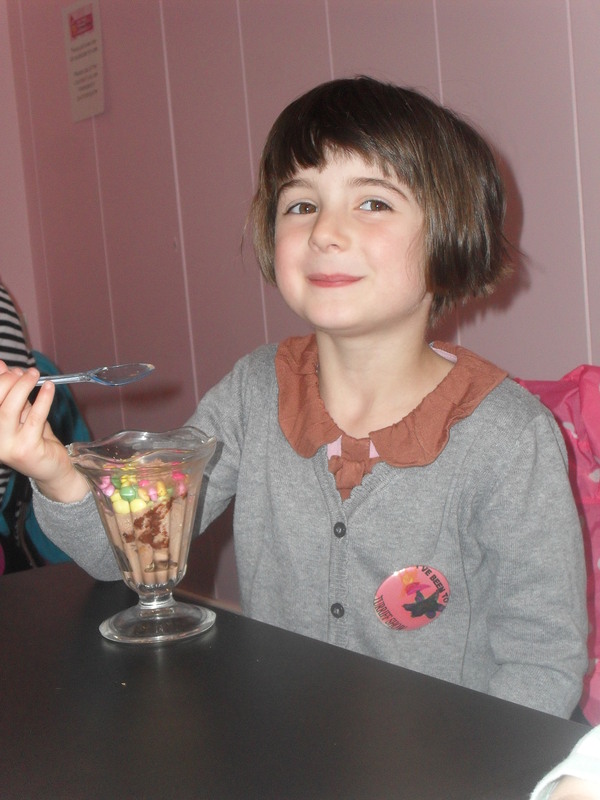 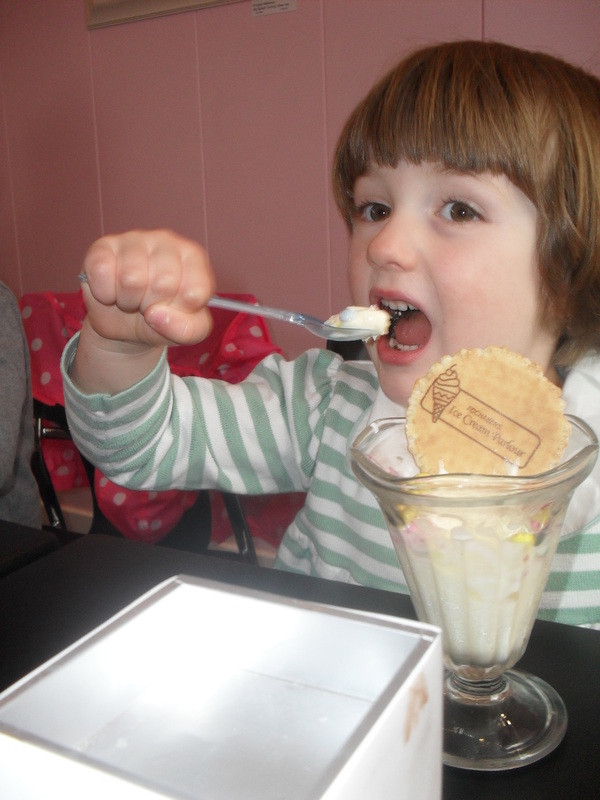 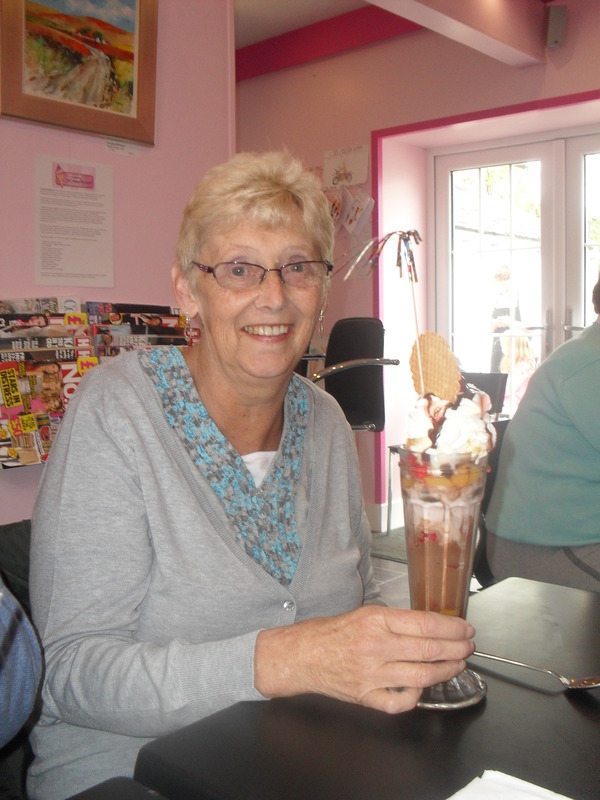 Nanny had a knickerbocker glory and I chose honeycomb flavour with toffee sauce and marshmallows… YUM!